I've lately been experimenting with freehand turning brass. The wooden knobs are some I turned many years ago. 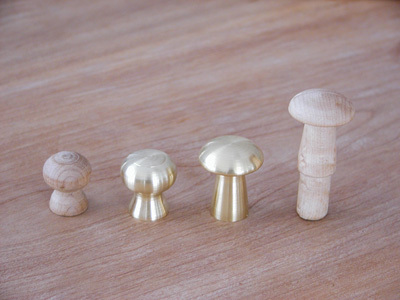 I thought I might experiment a bit with turning similar knobs in brass.